Pretty printable Princess Birthday Party Invitations. 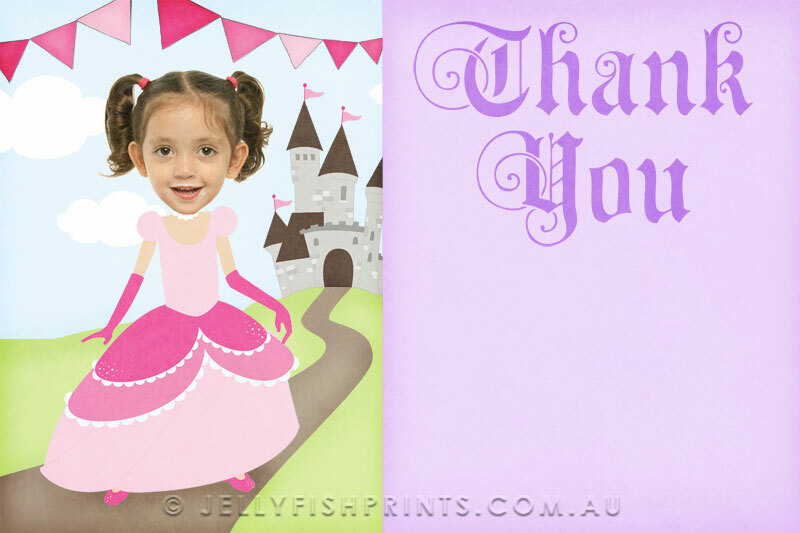 This design features a cute picture of a princess in her tiara. The wording to the right can be customised to suit your party needs. 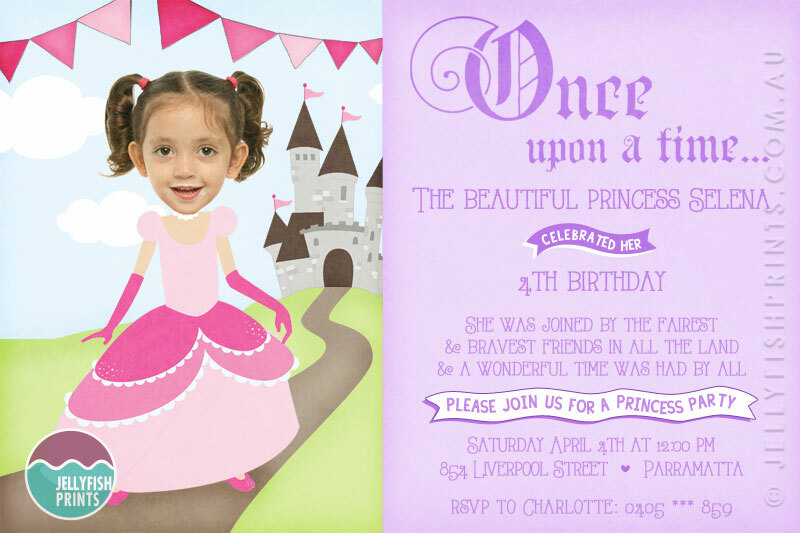 You can include a photograph of your sweet princess if you wish to create a unique party invitation that your little girl will love. Any of the colours used in the pink or purple design can be changed at your request. 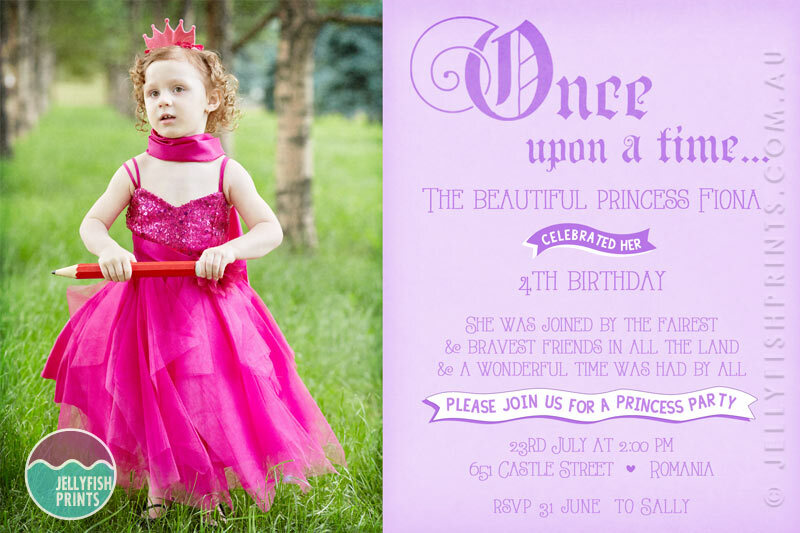 This invitation is available in pink and purple but we can certainly adjust the colour scheme to match your party needs. You can include a photograph of your child to make it more unique and to create a memory keepsake. Why not dress your daughter up in her favourite Disney Princess costume and take a quick snap of her. That would make this perfect invitation complete. If you decide use your smart phone to take the photo be sure to take it at the highest resolution settings on your camera. 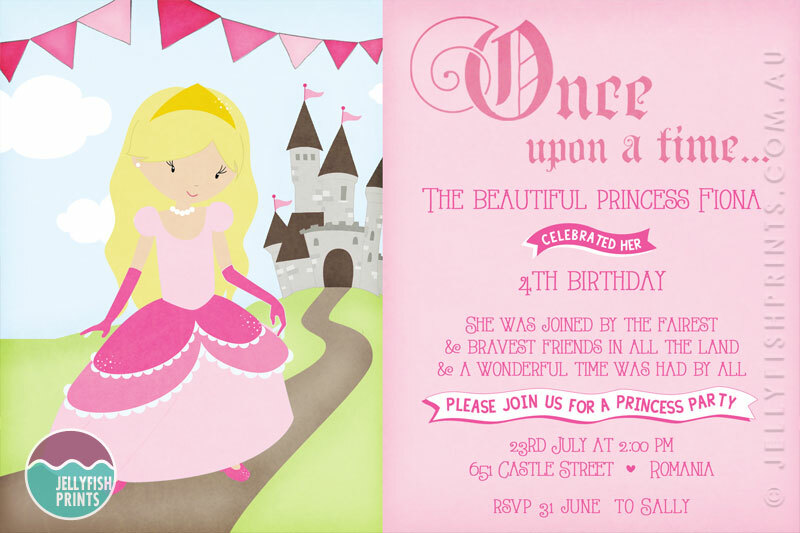 Your printable princess themed party invitation will be personalised with your party details and photograph if applicable.